These easy grip plastic rollers are perfect for younger years and can be washed and reused many times. Simply push the artistic rollers along and leave behind fantastic giant patterns and impressions! 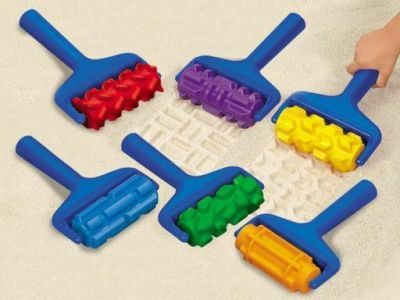 Available in sets of six with six different designs including train tracks, tire treads, cobblestones and more. Each roller is 20cm long.